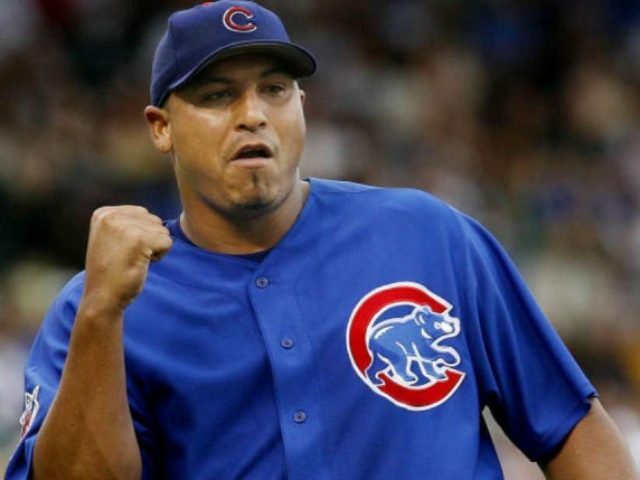 Now, Carlos Zambrano, 37, is making his way back to Chicago, but doing so with a different team in a different league. Zambrano won 132 games, including six straight seasons with at least 13 wins, and made three All-Star teams during a 12-year Major League Baseball career, but hasn't pitched at the big-league level since 2012. Zambrano told the Chicago Sun-Times that he has a contract to play for the Chicago Dogs, an independent team based in Rosemont, Illinois. "Why not?" Zambrano said Monday from Marlins Park, where the Cubs are playing this week. 'Bartolo [Colon] pitched until he was 45. "What happened with me was for a objective", he said, according to the Sun-Times. Former Chicago Cubs pitcher Carlos Zambrano said he thinks that he can overcome his age, his reputation and a long major league absence to make it back to the big leagues. He got in a fistfight with teammate Michael Barrett in 2007. But Zambrano says he is different now, and his faith is guiding him back to baseball. "I went to that conference, and something happened to me and changed my life, " he said, according to the newspaper. By the time the third one said it, he wept. "I don't know what God will do, " he said. Previous year in the Mexican League, his fastball touched 89 miles per hour, tops in the league according to the story, and he said he hit 94 during winter ball in his native Venezuela. But his behavior led to an unceremonious departure from the club. The next season, he was suspended for 30 days in August after cleaning out his locker and telling the team he was retiring after a bad outing against the Braves. These weren't his only outbursts, but in 2011 he had his last with the Cubs. A few months later, he was dumped in a trade to the Marlins in one of Theo Epstein's first moves as the Cubs' president. He pitched seven games in the minors as a member of the Phillies organization in 2013, and then that was it - until 2019, perhaps. Big Z will take his physical for the Dogs on May 2 so if you're thinking this is a publicity stunt, think again.